Bengaluru, April 11: Twenty-two-year-old Riyanna from Bengaluru will be casting her vote for the first time in the Lok Sabha Elections 2019. She was given the voter ID card after being rejected for 11 times. Riyanna applied first for the voter ID card when she was 18 years of age, reported The News Minute. She will now be among the several members of the transgender community in the country who will be voting for the first time in the ongoing general elections. Karnataka Lok Sabha Elections 2019 Schedule: Constituency Wise Dates Of Voting And Results For Karnataka General Elections. Riyanna told The News Minute, “Getting the voter ID itself was so difficult for me because my application was rejected because of confusion. Despite being a citizen in the country, it was so difficult for me to get the ID because I am a member of the transgender community.” The 22-year-old will cast her vote the Bengaluru Central in the second Phase on April 18. In these general elections, it will be the first time where members of the transgender community will be casting their vote. 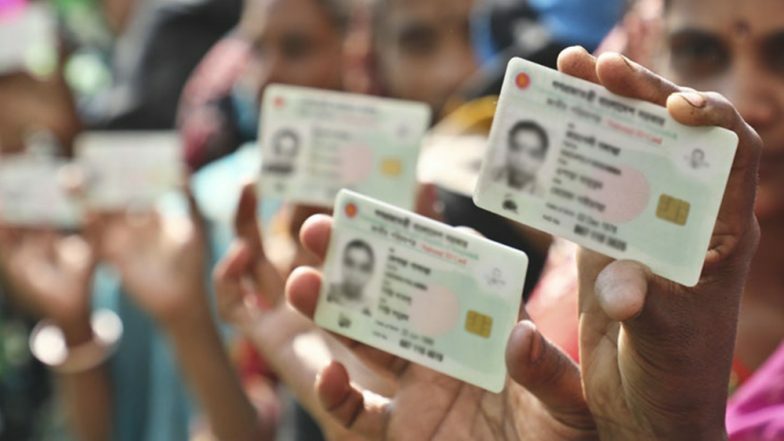 Lok Sabha Elections 2019 Schedule: Voting In 7 Phases From April 11 to May 19, Counting And Results On May 23; Check All Dates For General Elections. In Karnataka, the parliamentary polls will take place in the second and the third phase on April 18 and April 23 respectively for 28 Lok Sabha constituencies. There will be tough completion between the Congress and the Bharatiya Janata Party (BJP) in the state. In 2014, the Lok Sabha elections were held in a single phase in Karnataka. The Bharatiya Janata Party (BJP) had an upper hand in the 2014 parliamentary elections by winning 17 seats, while, the Congress managed to bag only nine seats. The Janata Dal (Secular) remained victorious on two seats.